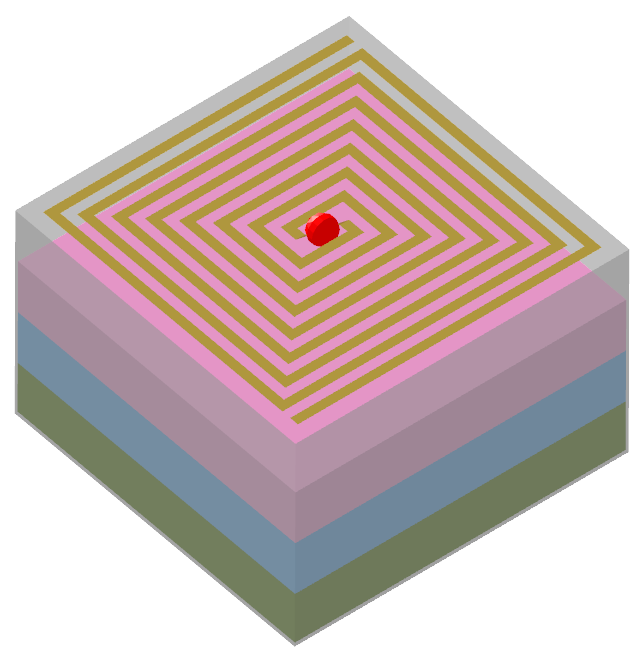 Image of the Rectangular spiral with absorber-lined cavity backing. 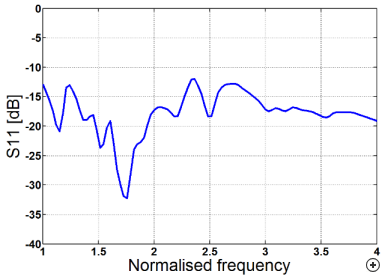 The rectangular spiral is favoured above the Archimedean spiral in situations where the object on which the antenna is to be mounted is square, since it utilises the area optimally - at the cost of more uneven performance across wide bandwidths. A cavity (partially filled with an appropriate absorbing material) is used to obtain unidirectional radiation. Since the spiral is a fully balanced design, a balun must be used if it is fed using a coaxial or other unbalanced transmission line type. The balun is often designed to also provide impedance matching, and integrated into the cavity. 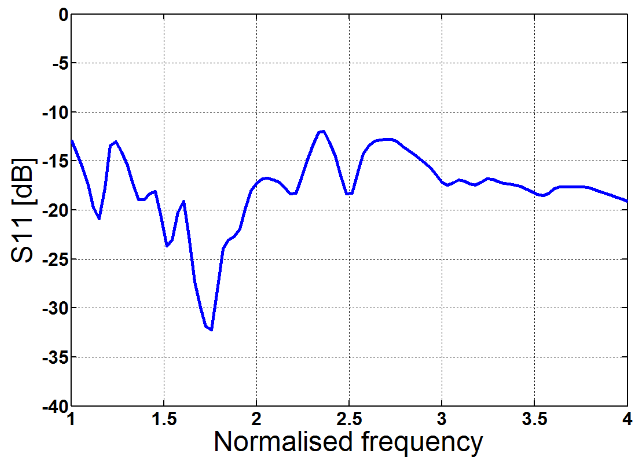 Typical radiation pattern at minimum, centre and maximum frequency.